Personalise this gorgeous bunch of balloons and wish someone a magical birthday! Sent straight to their door with love. 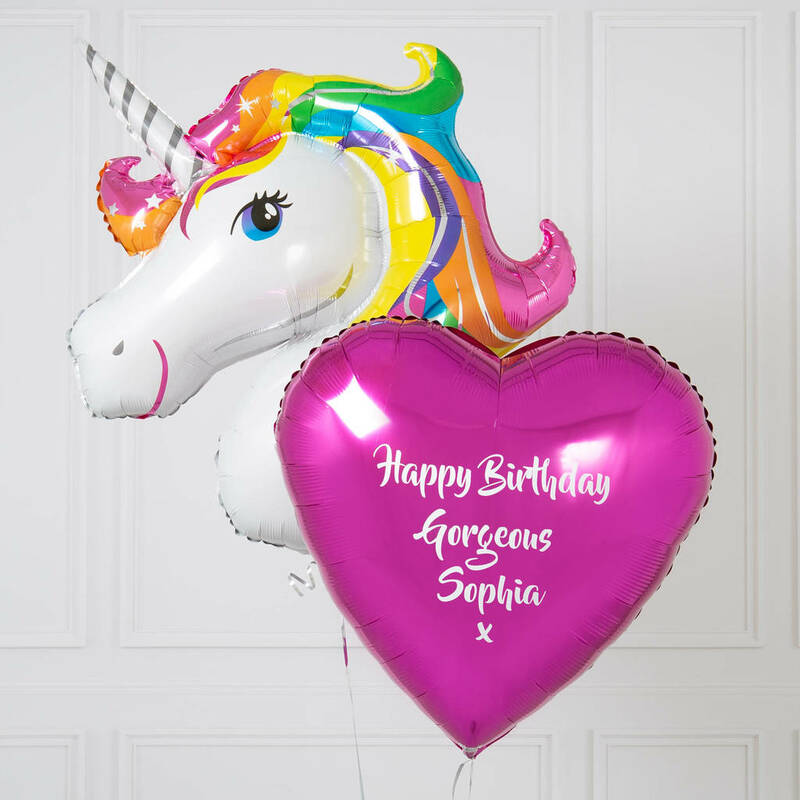 Rainbows and unicorns are what every girl desires, and now you can have them sent straight to their door, complete with your personalisation! You can personalise your bunch by writing your bespoke message on the balloon. In addition to this a gift message will be printed on a Bubblegum Balloons gift tag at the bottom of your balloon, so you can say everything you need to say! The balloons are made from foil and they are sent out in a large cardboard box. The balloon can be expected to stay afloat for approximately 1 - 2 weeks, but the record is 4 weeks! The balloons are carefully wrapped in sheets of tissue paper inside the outer box. Filled with helium on arrival the balloons will float out of the box to suprise and delight the recipient! The heart is 26'', and the large unicorn head is 38''.